We have many great used cars for sale near Salem on our lot offered at a no hassle price. We have many makes and models that you can choose from including Buick, Cadillac, Chevrolet, Chrysler, Dodge, and more. Depending on your interests and driving needs, some cars may be better for you than others. Other great choices include the Chevrolet, Chrysler, Dodge, FIAT, Ford, GMC, Hyundai, Jeep, Kia, Mercedes-Benz, Mercury, Mitsubishi, Nissan, Pontiac, RAM, Suzuki, and Toyota. You can further customize your search by choosing from a wide variety of years, makes, body styles, mileage and more. To get a closer look, check out our videos, pictures, and view the details online. You can view these details to see what’s best for you. You can even get pre-approved now so that you can get closer to driving in the car of your dreams. Let our finance team help you work out a way to afford this car. When you need help securing a car loan for next used car near Canton, regardless of your current credit situation. We are just a short ride from receiving a low interest car loan or great lease plan from our finance center near Salem. Fill out the online finance application and you will be well on your way to financing your next use car. We offer the following the following services: leasing options, car loan rates, and finance and warranty specials. Feel free to fill out the online finance application and you are on your way to affording the car you have been eyeing on our lot. 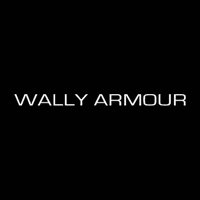 At Wally Armour, check out our large inventory of used cars near Salem and get back on the road. For more information, give us a call at (877) 328-0325 today!